Email Marketing Manchester Agency | The Best Email Marketing Service! How many emails do you receive every day? We’re willing to bet hundreds, and many of them will land in your spam or junk. Alternatively, how many emails have you opened from a brand or retailer promoting an irresistible sale that has led you to make a purchase that would otherwise be ignored? When done right, email marketing can have an incredible impact on your business resulting in more sales and increasing brand awareness. You spend hours crafting the perfect email campaign complete with marketing messages and product promotion. So, why are you not seeing a high open rate? Why are people not engaging with your content? Your subject line needs to be captivating, but not too sales heavy. Many spam filters will filter out content that appears promotional, so natural language is the name of the game. Our email marketing Manchester team rigorously test all campaigns to ensure you never miss an opportunity to convert more prospects in purchases. A whopping 34% of people across the world use email on a daily basis. It’s an instant method of communication that guarantees more eyes on your brand. Yes, email is pretty popular. Email marketing has evolved over the years from a simple click and send correspondence to a powerful marketing tool. It’s a personal way to reach out to potential and existing customers. Emails can be tailored to the specific needs and interests of your audience depending on the pages they have visited. If they have an abandoned basket, for example, you may want to retarget them with a prompt or a discounted offer to encourage a sale. What are the best email marketing Manchester services? A large part of email marketing is reporting on the data and revising your strategy for the best results. Our email marketing Manchester campaigns contain on-brand, professionally written content that keeps your readers hooked until the final word. Trust our specialists to design an email marketing campaign that generates impressive results for your business. Brand consistency is important; using the colours, fonts and logo of your business is going to help consumers resonate with you and recognise you in the future. With most of us reading emails on a mobile and tablet device, our emails are fully-optimised to deliver the same exceptional user experience. Following the testing of what time and days convert best, we’ll create a content calendar to ensure we reach all the right people at the right times. We believe collaboration with our clients is the best way to create content that converts. No one knows your business as you do. Moreover, no one knows how to create email marketing campaigns as we do. How can you possibly move your business forward without detailed reporting? Simply put, you can’t. We’ll monitor and track the results of every campaign to ensure you are continually moving forwards to smash your targets and set new ones. By checking who is opening your emails and who is clicking through to your site, we can make informed decisions and change your campaigns accordingly. When it comes to email marketing, newsletter and monthly marketing updates are common practice. What people may not consider is the personalisation of outreach marketing emails. Outreach marketing does precisely what it says on the tin. The aim is to reach out to powerful online influencers and bloggers, using personalised emails, who will sing the praises of your brand. Similarly, our PR Manchester service helps you build relationships with journalists in your area. 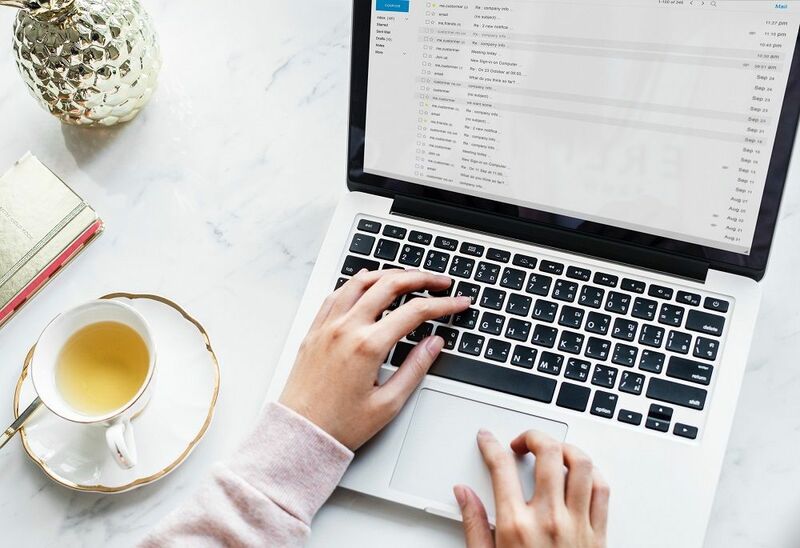 You are more likely to make an impression if you take a personalised approach to email marketing – 52% of people are more likely to respond to an email if you personalise communications to them. Contact our email marketing Manchester agency! Whether you are looking to double your open rates or generate more traffic to your site, we can make it happen. Our email marketing Manchester specialists have many years experience designing and distributing successful campaigns for clients across the UK, and internationally. Making money for your business; it’s what we do! Interested in email marketing services that significantly improve your bottom line? Speak to our email marketing Manchester agency today for more information. Alternatively, drop us an email at enquiries@bigfootdigital.co.uk – we’d love to hear from you!